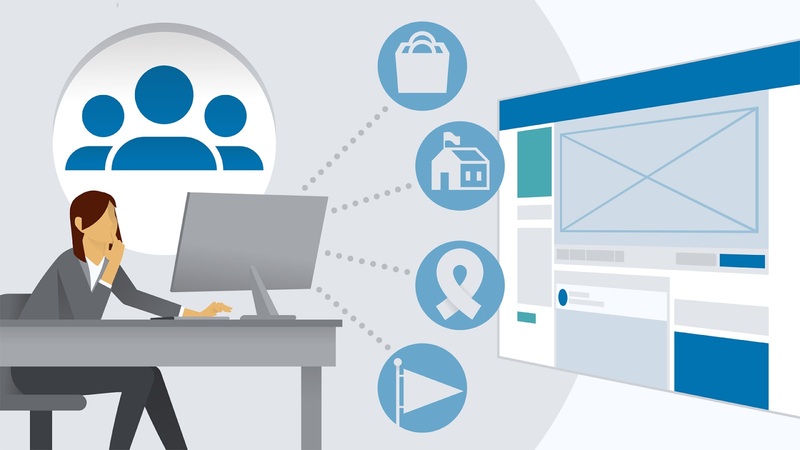 Facebook recently announced the launching of new updates to groups aimed at aiding group admins to create and manage Facebook communities better. The meeting occurred in Menlo Park where they announced better ways that group admins will use to engage their members, control their respective groups and invest their time properly. Well, in the past, pages have been creating and linking groups but with limited admin communication. Admins were only permitted to do so either as the page or through their accounts. The worst part? Other pages weren’t allowed to join and take part in group conversations. Facebook finally provided a breakthrough! They allow group admins to add relevant Facebook pages, not just people. This has smoothened company engagements which were a menace before. Previously, brands had to add their staff members in groups to counter any misinformation. But through this update, organizations can now join and contribute in group conversations, give detailed answers and defend themselves. Why is Facebook Doing So? This move is confusing especially in Facebook online communities filled with fake accounts, misinformation, uncouth behaviours, and spams. Despite this, Facebook stated that it’s a good way for brands to recoup their losses, especially the ones affected by algorithm shift. They stated that it would boost brand exposure, build awareness in the Facebook communities, and assist businesses in building firm authority. Also, it’ll be a clever way for marketers to draw more attention to their businesses. Facebook seeks to ensure that specific pages benefit from this new change, more so those created by public figures or brands. They want them to interact more with their supporters or fans. Now that Facebook allowed them to join groups as pages, they will have to verify pages with millions or billions of followers to safeguard brands’ reputation. They’re also seeking to give brand pages easier time to track post-performance using pages rather than an individual's Facebook profile which require registration with real names. In this way, page owners will build their brands instead of deploying their support to do so using their Facebook profiles. The bottom line? Facebooks seeks to foster brand collaborations, expand group subscriptions and create deeper engagements between brands and Facebook communities. Does this mean that more spams are coming? When brand pages join Facebook groups, it’ll enhance collaborations as brands and not as individuals owning the brands. However, chances are high that Facebook groups will be spammed, that is if group admins aren’t vigilant enough. Businesses will utilize their page presence, enter groups then push their greatest or latest deals. Despite this, the administrators have several options to counter their activities. They can allow brand pages selectively, delete spammy messages or turn off the option of allowing brand pages into their groups. Seemingly, group admins will also have the power to root out brand pages just like they do to members violating their rules. Due to spams, you’ll rarely find brands turning on the option of allowing other brands to join their groups. Will the New Rules Foster Brand Awareness? This update paves the way for brands to spread awareness and expose their goods and services better. Clever marketers who’ll adhere to group rules will benefit the most. They’ll push their products while adhering to the set rules. Let’s think of it in this perspective; you enter a bar then you start promoting your products where no one knows you makes you be ignored. But investing your time in knowing the people in the bar makes it easier to identify your target market. You’ll identify potential customers. So, engage with your audience first in the groups by participating in conversations or threads, and using your brand’s voice or tone. Don’t be in a hurry to sell your products. Instead, post meaningful questions or answers that’ll keep your conversations going. Potential customers will naturally click through your brand profile to see the services you’re offering, and if they like them, they’ll do business with you. Also, sell products only when opportunities arise. For instance, when many customers have asked for recommendation or referrals, then you can post your services through a link to your website. Later, you can send your quotes in their inboxes. Uploading pictures or brochures is unprofessional unless you’re asked to do so. Handle everything with professionalism while in groups, it’ll foster your brand’s reputation, and you’ll make more sales. The Best Way To Build Credibility in the Groups? First, introduce yourself to the group admins using your Facebook personal profile. Once approved, remember that your posts will appear behind a corporate logo rather than your personal profile. Your posts, therefore, must add value. It’s unlikely that group admins will approve your requests if you’re not ready to contribute. So, establish the right relationships with both the admins and your audience. It’ll bear fruits in the long run! Now that you’ve seen the changes accompanied by this update, will you permit pages in your groups? And what’s your view regarding this update? Is it bound to affect conversations in Facebook communities positively or negatively?